Ryan Cousineau of the Douglas College Centre for Educational and Information Technology is the guest curator of “From Pong to Pokemon: Video Game Entertainment”, a new exhibit at the Surrey Museum. Last week, Ryan spoke to the Georgia Straight about the exhibit, which opened today and runs through December: you can read all about it here. 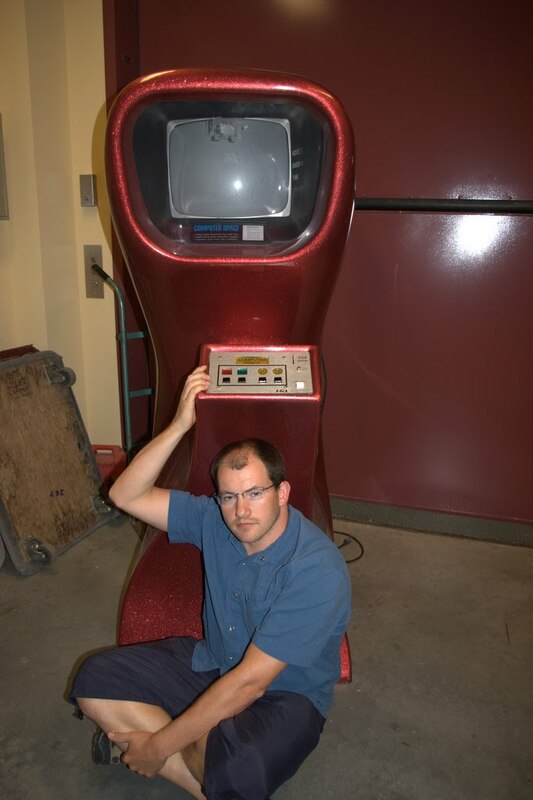 Ryan Cousineau, Supervisor, Classroom Technology Services at the Douglas College Centre for Educational and Information Technology with his original Nutting Associates "Computer Space" arcade machine from 1971.